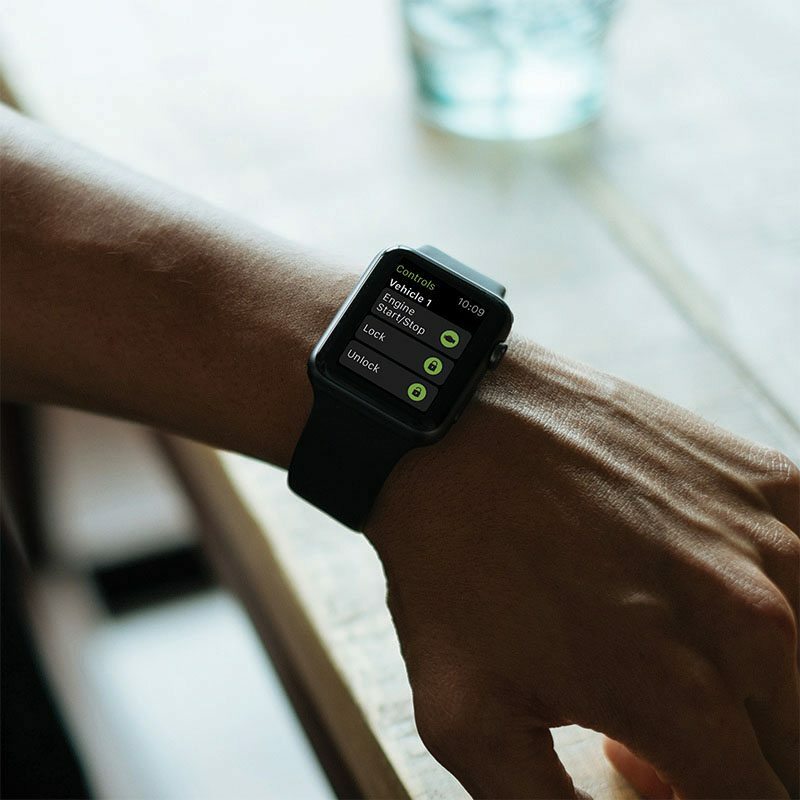 iPhone and Android App Upgrade: DroneMobile gives you the peace of mind, convenience, and security of staying connected to your car form your smartphone. 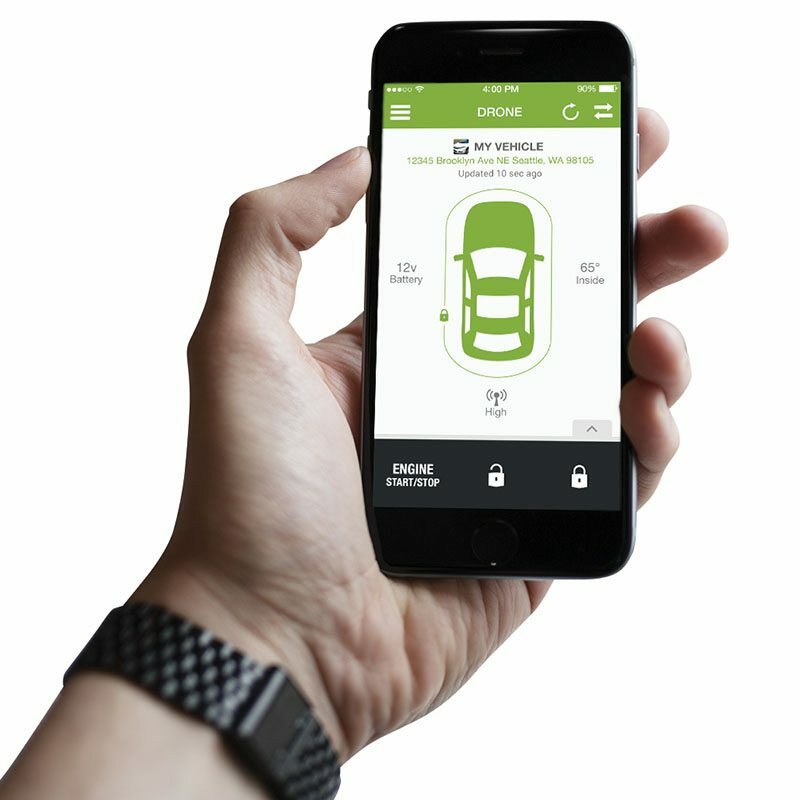 With one simple connection the DroneMobile module connects your vehicle’s remote start or security system to your smartphone to give you unlimited access to your vehicle. 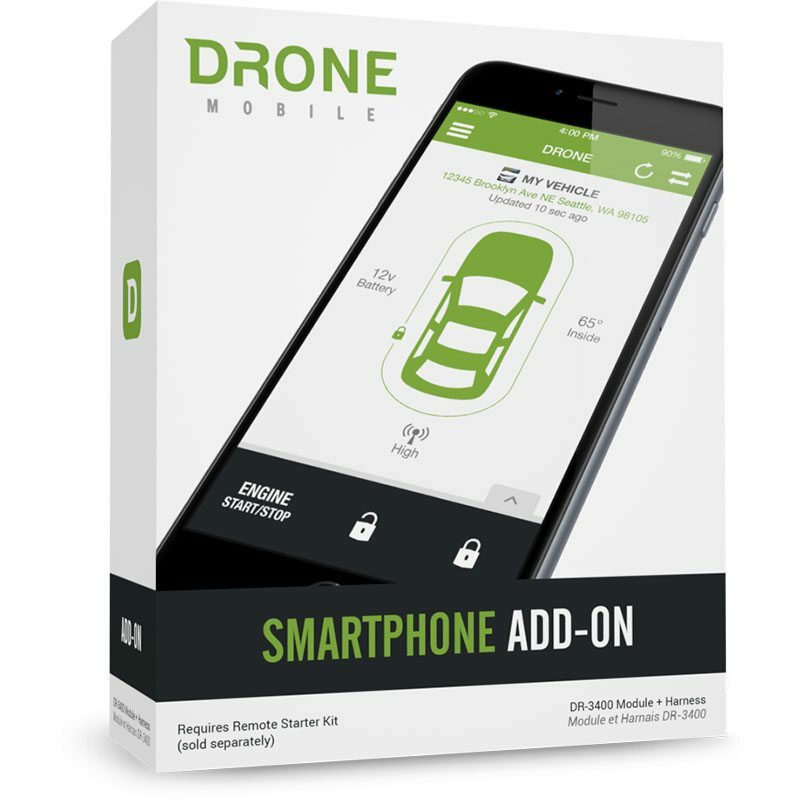 Access from Anywhere by using the DroneMobile app. You can lock your doors or activate your remote starter if the weather outside is too cold or too hot. As you send commands, AVA, our Animated Vehicle Assistant will confirm your vehicle’s status. This is an add on to our remote start systems and requires a Compustar Remote Start. DroneMobile also requires an annual service agreement. 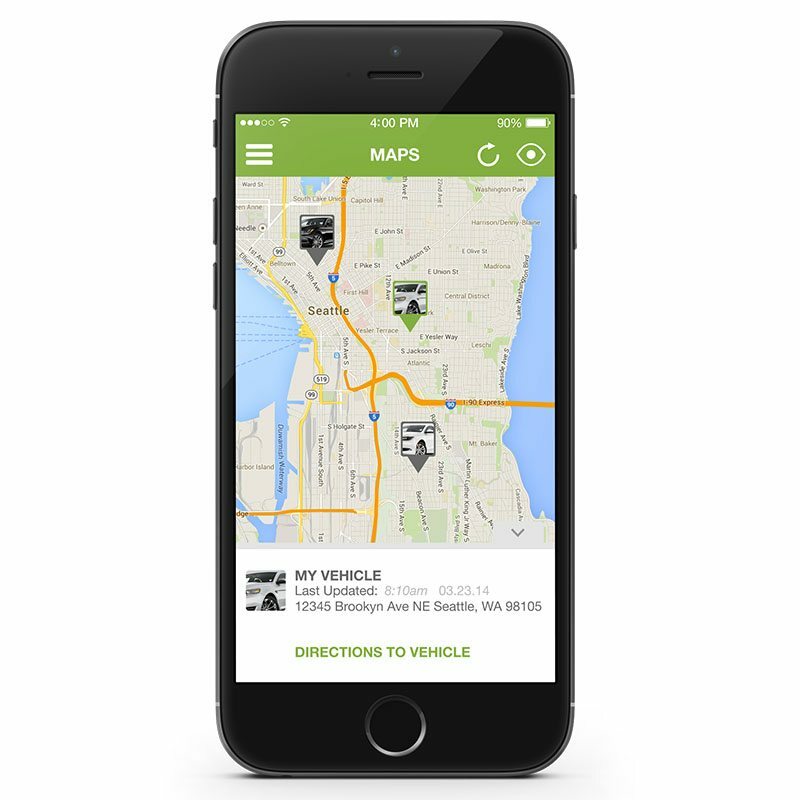 With the DroneMobile app, you can control and track your vehicle from anywhere. 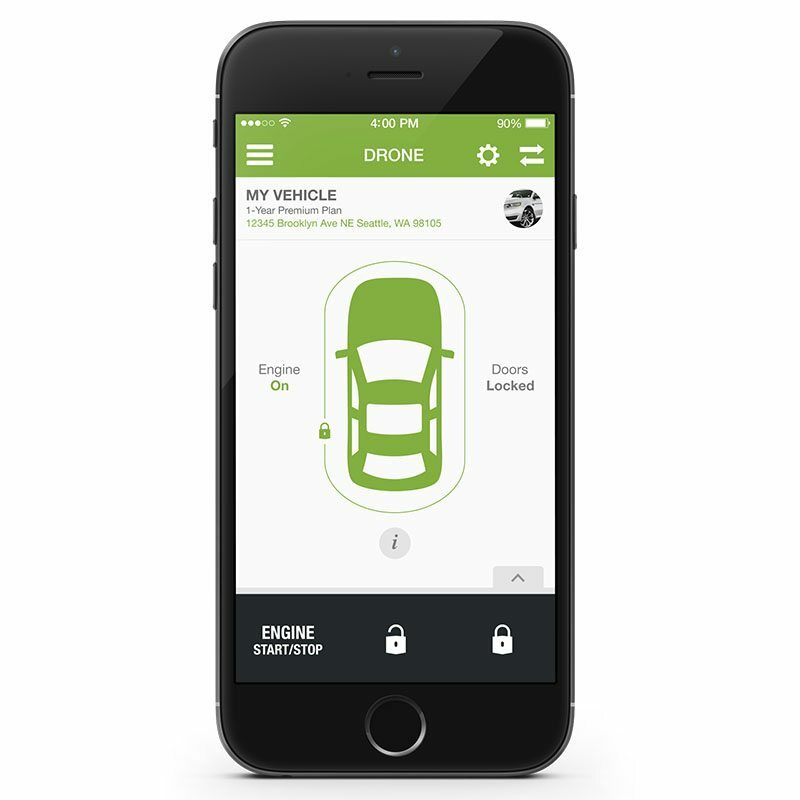 Check on your vehicle’s door locks, engine status, and inside temperature using the DroneMobile app. 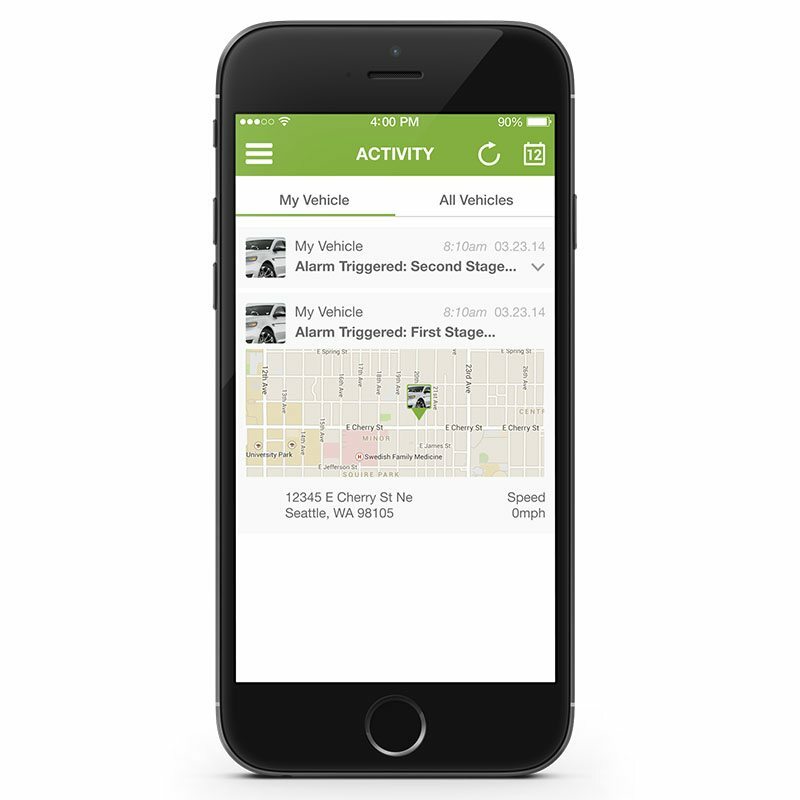 Receive an alert whenever your vehicle enters and exits a particular area. Premium plan required. Receive a push notification if your vehicle’s speed ever exceeds a speed limit. Premium plan required. Receive an alert if your vehicle is ever driven after hours. Premium plan required.